VANCOUVER (miningweekly.com) – There is no better time in the commodity price cycle to get into the copper/gold space than the present, says Montana-focused project developer Broadway Gold chairperson Duane Parnham. Speaking to Mining Weekly Online during an interview, the mining veteran pointed out that an analysis of the TSX-V suggested technical support for project developers with forthcoming copper/gold projects. US President-elect Donald Trump’s administration could dovetail into the market emerging from the depressed commodity price cycle and provide a demand boost with major new infrastructure build programmes. “We are coming out of the trying times since 2011, where we’ve seen multiyear [commodity price] lows. Copper usually is the leading metal coming out of a commodity bear market; the US political situation is also a potential boost for copper if the promised infrastructure buildout takes place; and if we do get the infrastructure built, it will probably have an inflationary effect on the economy, which will possibly lead to better gold prices,” he says. This foreshadows a win-win outlook for Broadway, which in October changed its name from Carolina Capital, and heralded a focus on the Montana-based Madison gold/copper porphyry project, where it has identified a series of existing gold and copper zones that remain open for expansion. 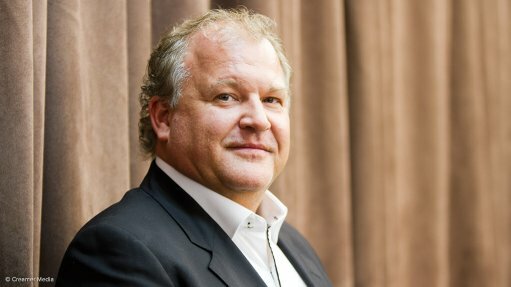 “We’ve got this one leveraged very well when considering the copper and gold potential, and how it fits into this political and economic environment,” states Parnham, who has spent his career developing and founding several resource-focused companies, including Temex Resources, Forsys Metals, Giyani Gold and Canoe Mining Ventures. The project is an “exciting opportunity” with near-term production potential, being located in the historic Silver Star mining district, 38 km south-east of Butte, the location of the world-renowned Butte copper mine. The past-producing Madison mine consists of six federal patented lode claims, 34 federal unpatented lode claims and one federal unpatented placer claim totalling more than 182 ha, in addition to a 78 ha ranch, together with permits, rights, interests, mining equipment, buildings and fixtures, as well as an exploration database that includes 101 drill holes, multi-element and gold assays from rock-chip sampling and bulk sampling, and detailed geological mapping. The project also hosts the historic Broadway gold mine, where production from the 1880s to the 1950s yielded about 450 000 t grading an average of 0.32 oz/t gold from about 1 830 m of underground workings, to a vertical depth of about 230 m.
The Madison project had seen direct expenditures of about C$9.9-million and $2-million on the Madison project since 2005 by previous owner Coronado Resources, from which Broadway acquired the project in the fourth quarter last year. “It was very intuitive of Broadway management to go into the jurisdiction at a time of change. The data set is showing us where the blue-sky potential is in a smaller-scale mining operation. If you can latch into the copper porphyry system, it’s a company maker right there,” Parnham believes. Montana is historically a land of major mining companies, with several significant base metals, precious metals and industrial metals operations active in the region, including smelters. “Our opportunity comprises a substantial land package as well as a large data set, with existing infrastructure allowing for underground exploration work. The deep-seated copper porphyry is the source of the vein-type mineralisation we’re seeing. “We will be tracing the high-grade skarns looking for the source of the mineralisation, while shipping the ores to a nearby smelter for toll-milling,” he states. Parnham explains that with all required licences, environmental approvals and equipment to start accessing underground workings safely in hand, surveying and sampling of the historic workings are currently under way, which will result in an underground drilling programme later this year. On the surface, Broadway will conduct a geophysical survey using deep induced polarisation methods to search for and trace deep porphyry copper or copper/gold deposits believed to be the feeder system underneath known shallower skarn-type deposits, and responsible for the numerous high-grade drill hole intersections identified on the property. Broadway is currently conducting geophysical analysis on these anomalies and generating targets for a surface drill programme, also planned for this year. Broadway, a company closely held (about 30%) by insiders and management, received positive response to its financing and recently successfully completed an oversubscribed nonbrokered private placement by issuing a total of 6.61-million shares at $0.35 apiece, for gross proceeds of $2.32-million. Parnham says the financing has provided the necessary capital to fund the first phase of drilling in 2017, as well as working capital expenses necessary to advance the company's strategic business objectives. "We are seeing renewed investor interest, increased capital injections and a positive shift in the overall outlook for the junior resource sector. Broadway is a new junior that is well positioned to leverage this new mining cycle," Parnham says.